Kissmetrics can help you seamlessly analyze, segment and engage your customers all in one place. 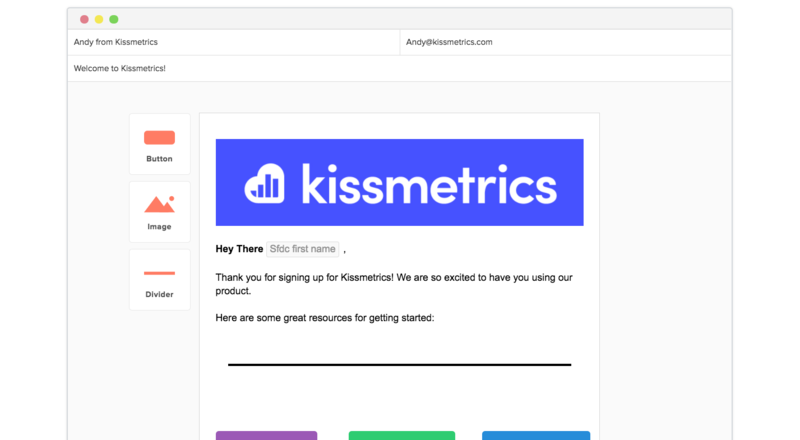 We built Kissmetrics to serve as a great way to understand and engage your prospects and customers. 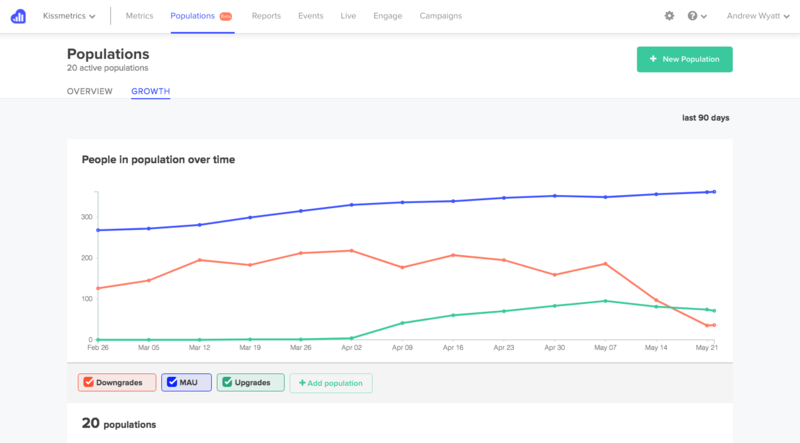 Kissmetrics was started to show you more than just what’s happening on your site – it was created to help you understand who is doing it and the patterns of user behavior that can help drive conversions. From there, you can create automated or manual email messages based on any combination of behavior, to drive engagement across your entire growth funnel. Now you can understand who you want to engage, when and why, all from within one platform. Talk to us today to get started with Kissmetrics.